Looking for a New York Stock Exchange definition? Also known as the “Big Board” or the NYSE, the New York Stock Exchange is considered the world’s largest and most well-known equity market based on the total market capitalisation of its listed securities ($21.3 trillion as of June 2017). It is located on Wall Street in lower Manhattan, New York City. 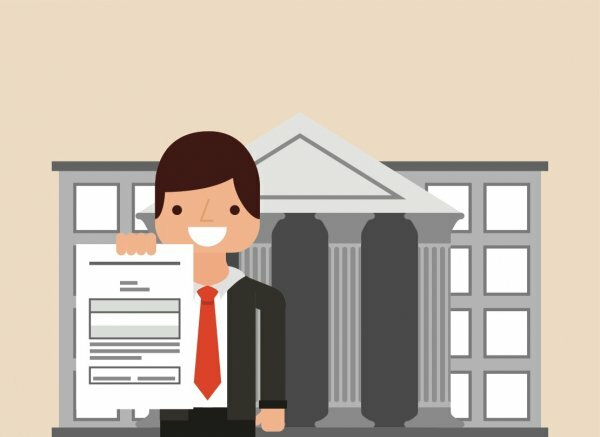 Where have you heard about the New York Stock Exchange? The boom and bust arc of the ruthless trading floor of NYSE has inspired many a Hollywood film, including the recent blockbuster The Wolf of Wall Street. The NYSE also dominated the news following the financial crisis of 2008 when the famous Wall Street address was sometimes used as shorthand when talking about the irresponsible trading that was highlighted as a major factor in the crash. Trading hours of the NYSE are 9am to 4pm ET. During trading hours, the NYSE acts as a sort of financial auction house, with traders buying and selling shares in companies that are registered for public trading on behalf of investors. Traditionally, the stock exchange relied solely on floor trading and the open-outcry system, but now most NYSE stocks can be traded on its hybrid electronic platform. 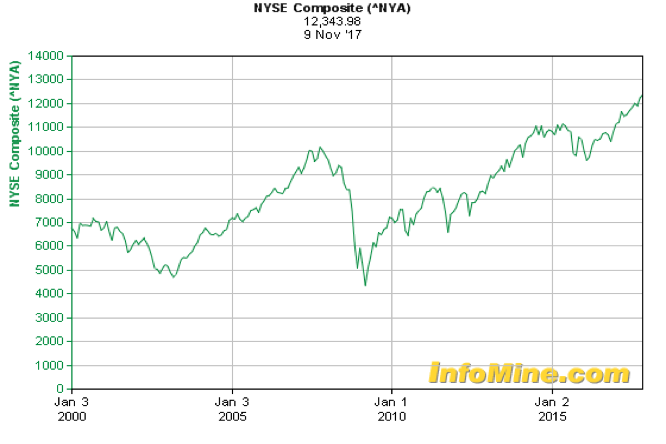 The performance of all the stocks listed on the NYSE is measured on the NYSE Composite Index. Because all NYSE stocks must meet demanding listing requirements and it includes many foreign stocks, the index is known by investors for its quality and global diversity. Although formerly a private organisation, the NYSE went public in 2005 and owes its current size and global reach to a series of mergers, including the NYSE Euronext merger in 2007. In 2013, the NYSE was bought by the Intercontinental Exchange for $11 billion. The earliest recording of organised trading in New York among brokers links back to the Buttonwood Agreement in 1792. Before this, auctioneers were responsible for conducting the exchange of mundane commodities such as tobacco or wheat. But in 1792, 24 brokers signed an agreement which marked the beginning of the NYSE today. The trades which would be made at the time were commodities, which, in the 1700s, was limited to insurance companies, the First Bank of the United States and the Bank of New York. The Open Board of Directors merged with the NYSE in 1869, which increased membership numbers as well as trading volume. The New York Stock Exchange was closed briefly at the beginning of World War I in July 1914, but opened a short which afterwards to help the war effort by trading bonds. It re-opened fully in December of the same year. The Black Thursday Crash occured on October 24th, 1929. This crash of the Exchange is considered to have precipitated the Great Depression. In 1938 the NYSE put together a fifteen-point plan to try and regain investors’ trust in the Exchange. In 1987 the stock market experienced what is now referred to as Black Monday. On Monday October 19th stock markets throughout the world crashed, so value dropped enormously in a very short time. Throughout the late 20th century there are a series of crashes including the 1989 Mini-Crash 1997 Mini-Crash. 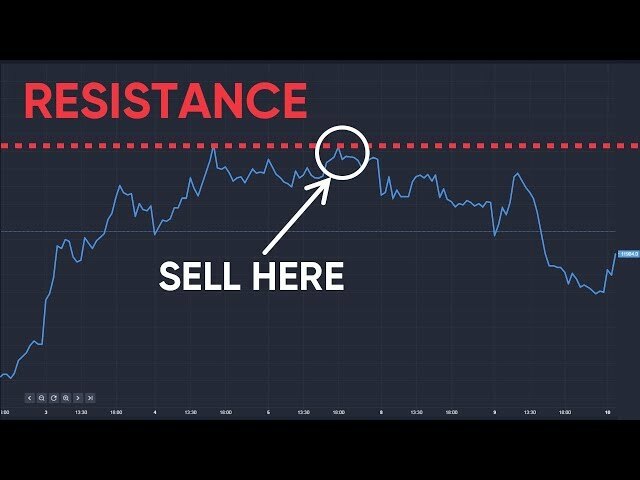 What is NYSE Composite Index? The NYSE Composite Index is an index that measures the performance and values of all stocks listed on the New York Stock Exchange, just as the Nasdaq shows the performance of technology-based companies and the EUROSTOXX provides information on companies in the eurozone. The NSYE Index represents almost 2000 stocks, over half of which are companies in the USA, and it includes all NYSE-listed stocks, from real estate investment trusts to tracking stocks. In the mid-1960s, the NYSE Composite Index was created with a base value of 50 points equal to the 1965 yearly close. The was done to show the value of all stocks trading at the exchange, and not just the stocks included in the Dow Jones Industrial Average. In 2003, the NYSE set the new base value of 5,000 points equal to the 2002 yearly close. By the end of 2013, the close was 10,400.32. The NYSE today is the world’s largest stock exchange. One of their most distinguishing characteristics that makes them different to the NASDAQ or other electronic exchanges, is the fact that they have a live trading floor at 11 Wall Street. Here, auctioneers and market specialists buy and sell commodities and securities, matching the highest bidding price with the lowest selling price. A series of important mergers have made the NYSE today the largest equities-based exchange in the world. In 2013, the NYSE was purchased by the Intercontinental Exchange in a $11 billion deal. The NYSE today signals the beginning and ending of trading hours with the ringing of a bell. In the past a gavel was used to signify the start and end to each trading day, but after the NYSE moved to its current location at 18 Broad Street in 1903, the bell replaced the gavel as the signal for the beginning and ending of trading hours. The people responsible for ringing the bells are usually business executives whose companies trade on the exchange, however some other notable characters who have rung the bells over the years include South African President Nelson Mandela, rapper Snoop Dogg and even fictional character such as the Pink Panther. If you’d like to read more about the NYSE, take a look at their official website. To watch the famous bell which signals the beginning of the trading day at NYSE today, watch this video. Still can’t get your head around stock markets? Have a read of this comprehensive beginner’s guide to stock markets from the Times Online.